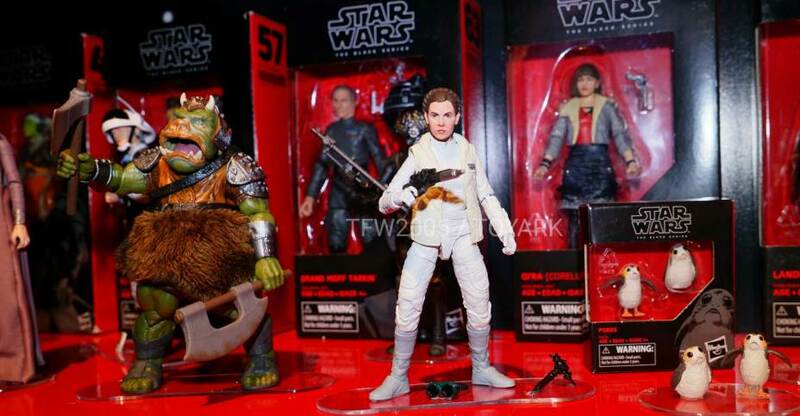 Lots of Star Wars Black Series 6″ Figures on display from Hasbro at Toy Fair 2018. Next up in our look at Star Wars The Last Jedi Wave 1 Black Series figures is Hera Syndulla. Hera is from the Star Wars Rebels cartoon series and joins Kanan, Sabine and Ahsoka in the jump to more realistic interpretations. Sabine has a good range of Black Series articulation and comes with a single pistol that holsters on her ankle. Read on to check out some shots and additional thoughts courtesy of Dorkside Toys! Related Dorkside Toys Links: All Star Wars Black Series, Last Jedi Wave 1, Last Jedi Wave 2, Luke & Landspeeder, Rey & Speeder. 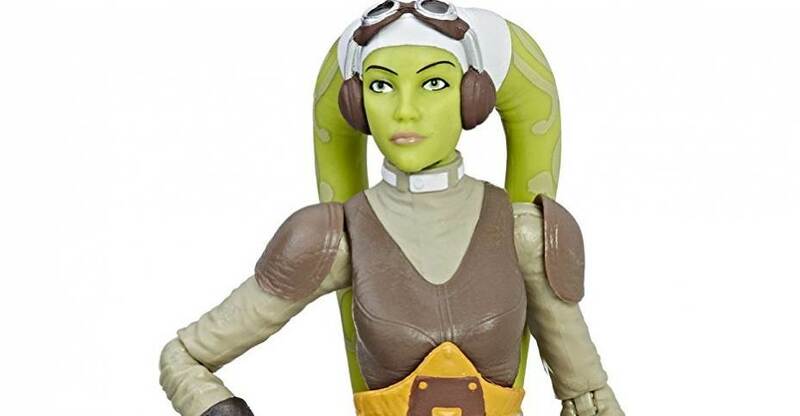 Amazon has updated their listing for the upcoming Star Wars The Black Series Hera Syndulla 6″ Scale Figure. the new photos give fans a great look at the figure, which looks to have undergone some changes since we saw the figure originally. The updated listing itself doesn’t confirm the specific release date at this time. Check out the updated photos after the jump. Kids and fans alike can imagine the biggest battles and missions in the Star Wars saga with figures from The Black Series! With exquisite features and decoration, this series embodies the quality and realism that Star Wars devotees love. The captain and heart of the Ghost’s rebel crew, Hera Syndulla was a gifted pilot and leader. Her leadership and the respect she earned from the Phoenix Squadron prompted her promotion to squadron leader by Commander Sato. 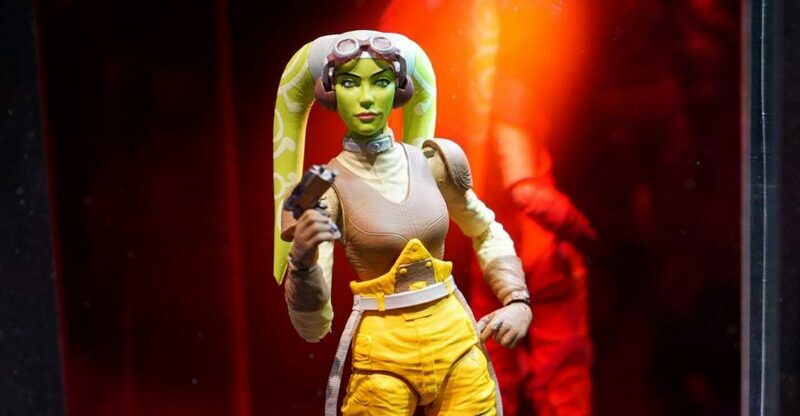 This 6-inch-scale Hera Syndulla figure is carefully detailed to look like the captain from Star Wars Rebels. 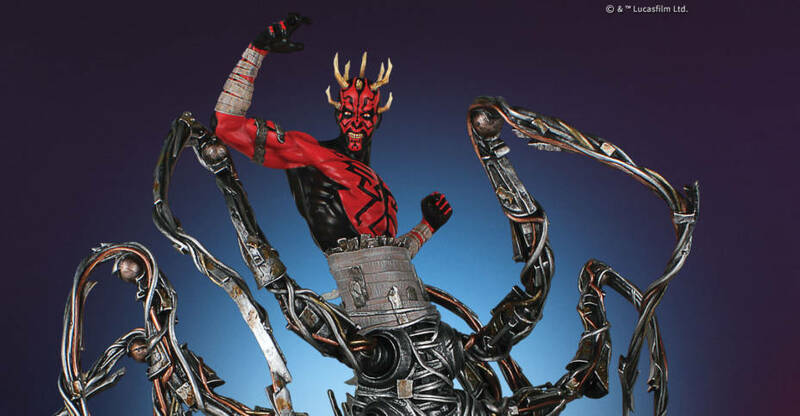 This figure features premium detail and multiple points of articulation, and includes a character-inspired accessory. Star Wars products are produced by Hasbro under license from Lucasfilm Ltd. Hasbro and all related terms are trademarks of Hasbro. 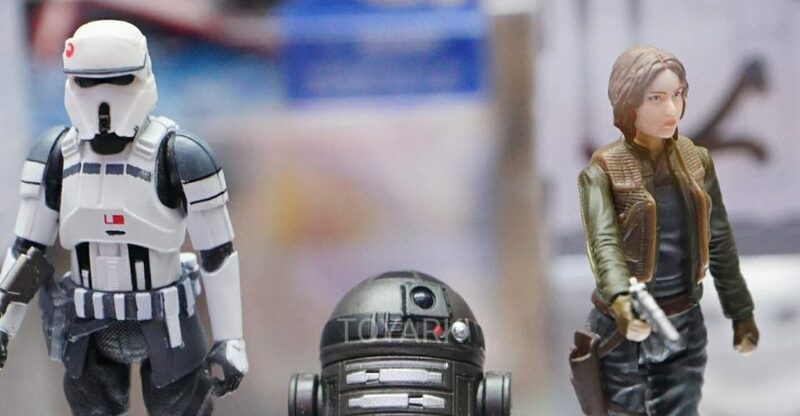 Check out the new Hasbro Star Wars figures and toys on display at Toy Fair 2017. 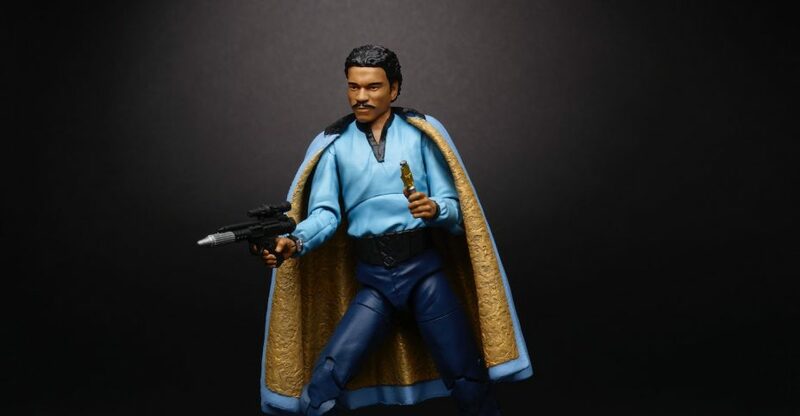 These included the new Black Series 40th Anniversary 6″ Figures, new 3.75″ Scale 5-Points of Articulation figures, and much more. 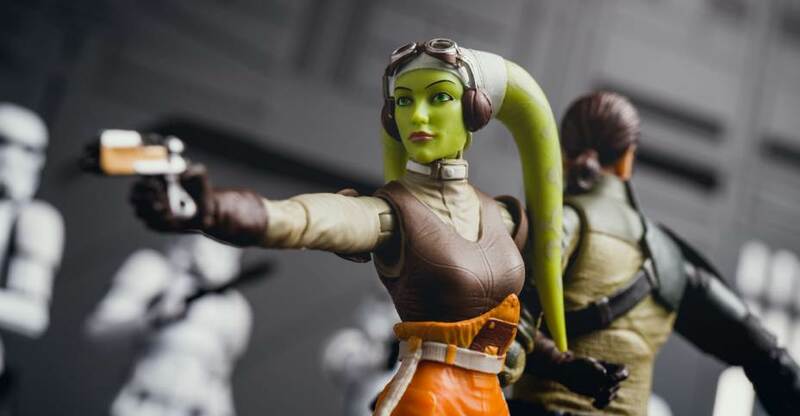 Photos of Hera and the A-Wing added. A few additional photos added. Here is the Star Wars display from LEGO at Toy Fair 2016. 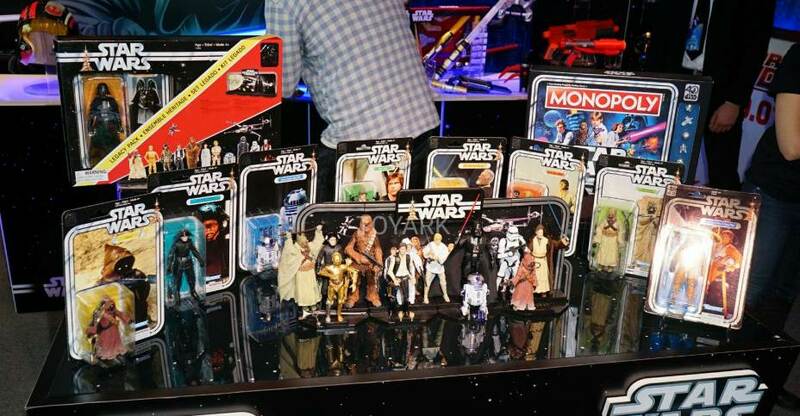 Here are some photos of the Hasbro Star Wars booth from San Diego Comic-Con 2015. These photos, from Preview Night, don’t really reveal much at the moment. We get a great look at the Star Wars: The Force Awakens – First Order Stormtrooper Black Series 6″ Figure. There are also previously seen Black Series, 5 points of articulation Mission Series, Saga Legends, Rebels, Potato Heads, mini vehicles, board game and more. Expect more new reveals as the show progresses.